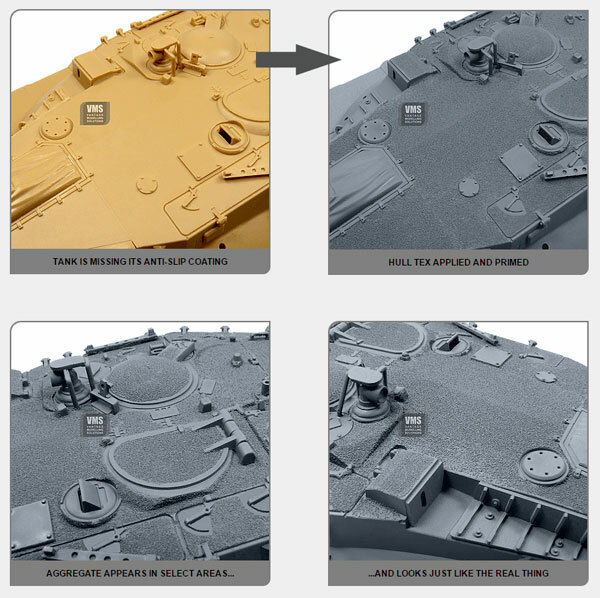 Unique solution for creating realistic aggregate based anti-slip textures as seen on modernized variants of M1 Abrams or Merkava tanks. 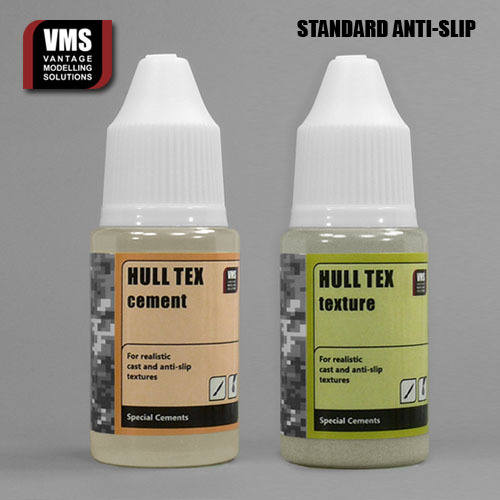 The bundle contains proprietary slow curing, high solids adhesive and hit purity sieved texturing material (aggregate). The application process is similar to real life anti-slip creation procedure. “Standard” type is used to create even aggregate based anti-slip patterns. Standard type reacts with plastic.